If you think of deadheading as a garden chore, it’s because you’re doing it too late! Doing it after the flowers fade gives you all the work and none of the benefits. 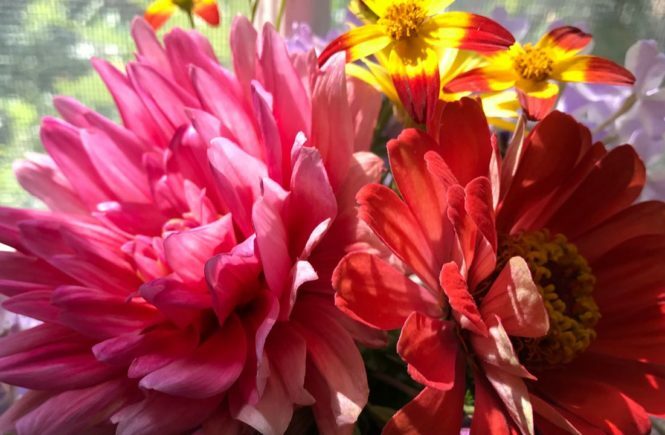 In many cases, cutting flowers to enjoy indoors is actually a form of deadheading. Yes! And it often gives you exactly the benefit you want from all that snipping: a continuous flow of blooms. This week, after six days away, I went out to check on my garden. 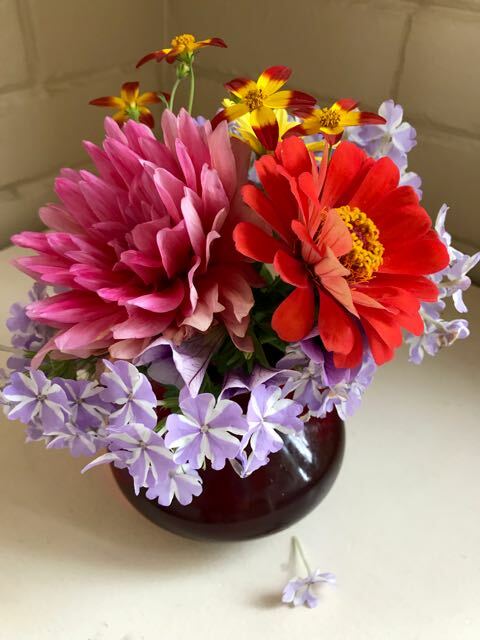 There was a beautiful Dahlia, just past its peak, the first Zinnia on a stem, and lots of overly trailing Verbena. All these are great candidates for your deadhead bouquet. Removing the central flower on the first two encouraging side shoots with more flowers! And cutting back trailing plants like the Verbena, and others like Calibrachoa (aka million bells) does the same. Go out and take a look at your annuals and container plants. Better yet, bring your scissors and cut yourself a bouquet! 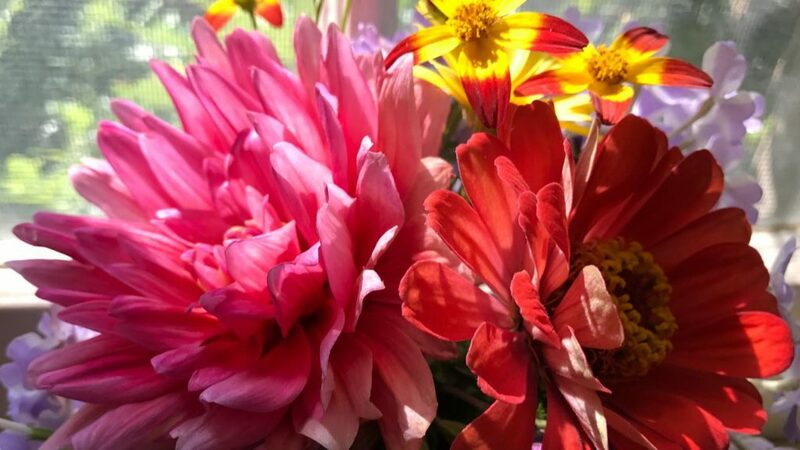 Along with my huge Dahlia (left) and Zinnia (right), the red-and-yellow “daisies” are Campfire ‘Fireburst’ and the verbena is Superbena ‘Stormburst’ – both available in 2018 from Proven Winners. Oh my gosh, sooooooo pretty!!! I like the paradigm shift, cutting flowers is a form of deadheading!